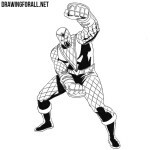 We are very fond of the theme of comic book characters, and therefore we drew a lot of superheroes and supervillains. Not so long ago, we realized that on our site we have Superman, but no Supergirl, so today we decided to correct this injustice. So let’s get down to the tutorial on how to draw Supergirl. The first thing we need to do is draw the skeleton of the character. Start from the head, outlining it in the form of the most ordinary oval. Next, draw a line of the spine, on which we sketch out the chest and pelvis. With the help of simple lines we outline the arms and legs. All these lines should be drawn with very light lines. Now let’s add some meat to the bones of Supergirl. We outline the neck in the form of a cylinder, then the torso, taking into account all the curves of the torso, as shown in our example. Next, we outline the arms and legs using the same simple geometric shapes. By the way, do not forget to outline two intersecting lines on your face, that will help us to draw the facial features. Let’s now add the most basic details that will be drawn in the same way with the help of very light lines. Thus, we first outline the facial features and contours of long hair. Next, go to the body, sketching out the outlines of clothes and logo on the chest. Behind our back we sketch out a cape and move to the next step. Let’s draw out the details of the face of Supergirl. With the help of intersecting lines from the second step, carefully draw out the eyes, nose and mouth. Try to repeat the details as in our example. Next, draw the outlines of the face and long hair of Supergirl. Remove all the unwanted lines from the head. Now let’s go lower and draw the upper body of Supergirl. First of all, gently draw the outlines of the neck, which smoothly flows into the torso. 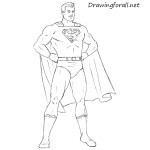 Using clear and smooth lines draw the outlines of the torso, taking into account all the curves, as in the example below. Erase all the guidelines from the torso and draw the logo on the chest. In this short step, we need to draw out thin but very strong arms. Do not forget to remove all unnecessary guidelines from the arms. When you draw the arms, consider all the curves of all the muscles in the arms. 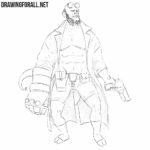 To learn how to draw hands, visit this drawing lesson. If you drew the upper part of Supergirl, then it is time to draw the lower body. 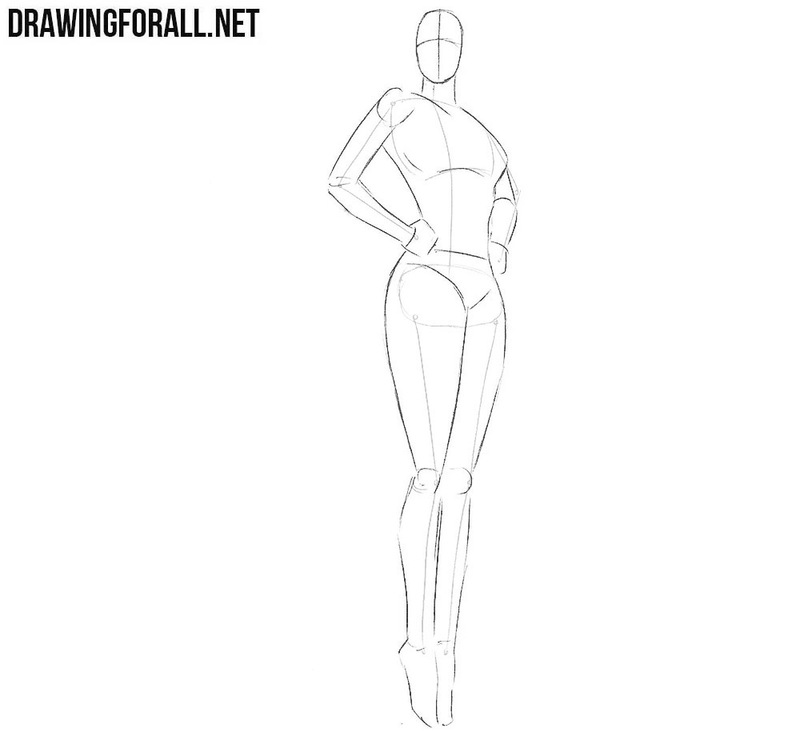 Use the dark lines to draw out the skirt and draw out the legs. 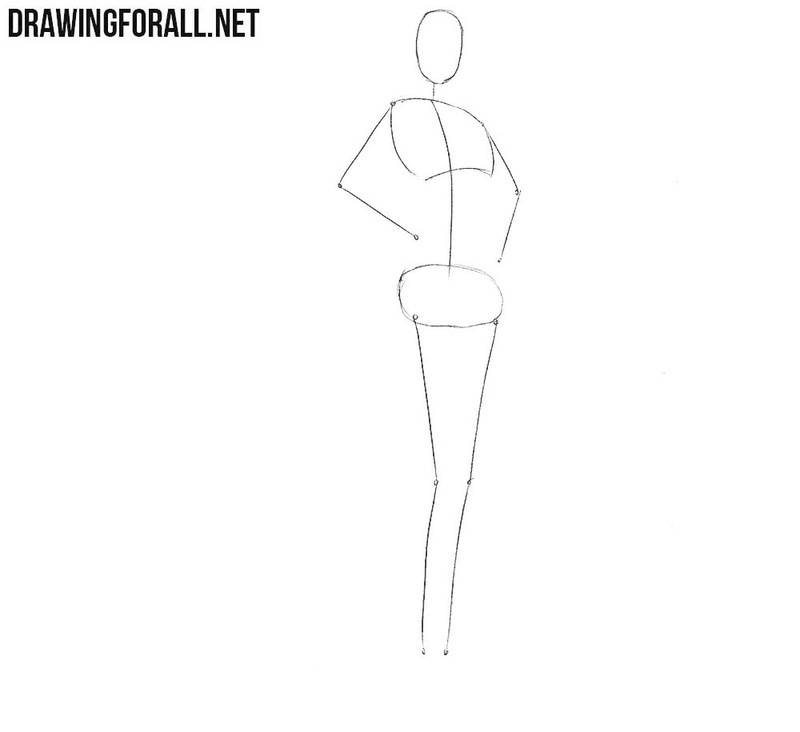 Try to make the lines of the legs as smooth as in our example. 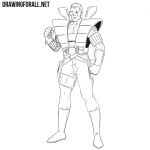 Do not forget to draw the outlines of the knees and the lines of the boots. Remove all unnecessary guidelines from the legs and go to the next step. In order for our lesson to look more complete, and Supergirl more relistic, we need to apply some shadows. For this we will use the classic hatching. As usual, we first determine the light source, then apply shadows to the least illuminated areas of the drawing. 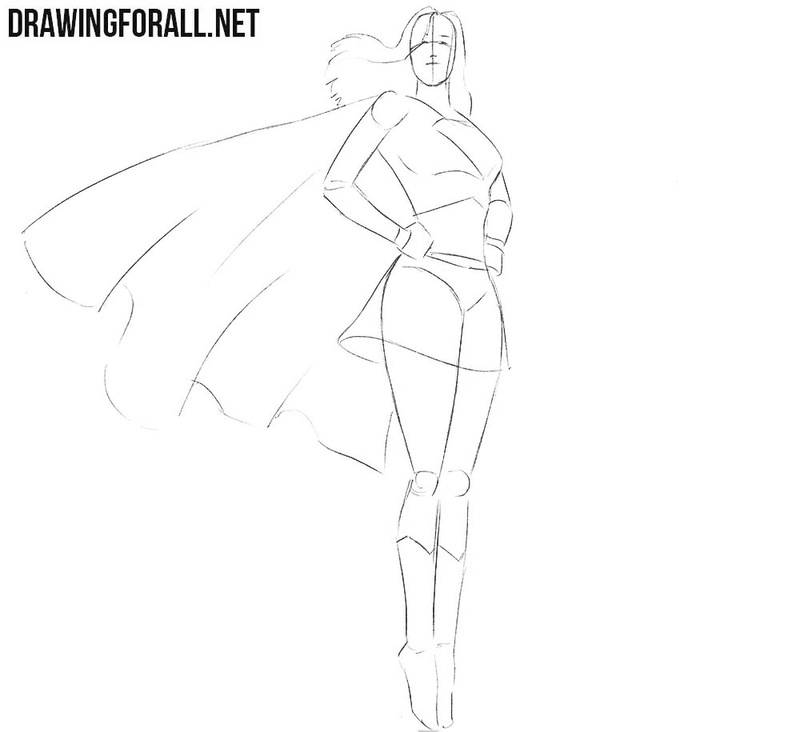 So today we showed you how to draw Supergirl. We tried to make this lesson the most simple and understandable for everyone. If something is not clear to you in our lesson, then please write to us about it in the comments to this article. 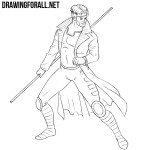 In the same place write what you think about our site and our drawing lessons. To keep abreast of all drawing lessons, subscribe to us in social networks.